In Flexcit, we readily acknowledge that repatriation of EU laws must be part of the Brexit package. We point to post-independence experience in Ireland and India for precedents, where each administration simply adopted laws made while their countries were under British control, and carried on with them unchanged, until they had time and resources to bring out new laws. Even then, the process can be somewhat protracted, with a report in 2014 that India was still going through its statute book, weeding out archaic laws stemming from the Raj. However, our enthusiasm for the process was conditional on the adoption of the Efta/EEA option, where the EEA has an institutional and legal framework which enables the Single Market acquis to function in a coherent manner. That would account for over 20 percent of the acquis communautaire, with much of the rest being discarded as unwanted. The most significant tranches of law that would have to be dealt with outside the EEA framework would be the CFP and CAP acquis but even these could be brought into the EEA via country-specific protocols and annexes, buying us time to develop unique policies applicable to the UK. As the Government seems to have turned its face against this option, it is instead relying on the Great Repeal Bill to facilitate legislative continuity and to avoid huge gaps appearing in the statute book. However, as is becoming increasingly apparent, simply re-enacting Brussels laws – in the way that British colonial law was treated - is not proving as easy as was imagined. The problem lies in the way the different sets of laws have been conceived and applied. 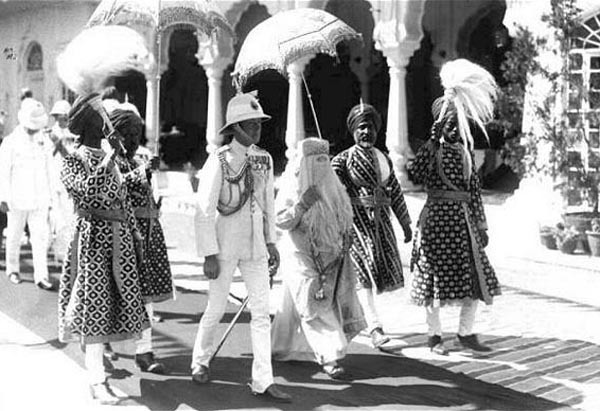 When the UK produced laws for India and the other colonies, they were most often produced by the Viceroy/governor general in India, and by governors in other territories. At state or subordinate level, you would also have law-making powers, by lieutenant-governors or some such. Even though they were made under British rule, they were still local laws, specific to the territories to which they applied. There is an Indian example here, in the notorious Criminal Tribes Act 1871. As can be seen, it was made by the Governor General (Viceroy) in Council and, rather than Royal Assent, was given the assent of the Governor General. And that's the interesting thing: most of the laws were made in India specifically for Indians. Here is another example, this one from New Zealand, the Land Registration Act 1841. There is a difference in style, as this is enacted by "His Excellency the Governor of New Zealand, with the advice and consent of the Legislative Council thereof". But it is a New Zealand Act, dealing with New Zealand issues. Even when laws were produced by Westminster, they largely dealt with specific issues in the territories to which they were addressed. The classic was the Government of India Act 1935 which, at 341 pages, was said to be the longest Act (British) of Parliament ever enacted by that time. It had 321 sections and 10 schedules. But it was a decentralised system, even when the law was made in London. And then it was done on a much smaller scale. In India, for instance, the Crown took over rule only in 1858 and between then and 1947, when independence was granted, Westminster only passed 196 Acts concerning the sub-continent. The 1935 Act granted a large measure of autonomy to the country and ended the system of diarchy introduced by the Government of India Act 1919. With the EU, though, not only is the scale of legislation different with about 20,000 laws currently in force, it is also a rigidly centralised legislature intent on creating EU systems. Unlike the British Empire, law-making is centralised, with the right of proposal reserved for the European Commission in Brussels. The completed law is then administered by the European Commission in Brussels, backed up by a single court in Luxembourg. Even India had considerable judicial independence, with its own High Courts, created by the Indian High Courts Act of 1861, with its own chief justice. Latterly, by authority of the Foreign Judgments (Reciprocal Enforcement) Act, 1933, we were to recognise and enforce (where relevant) its judgements in the UK. In the centralised EU system, though, EU law imposes a common system on all Member States which have to work together as part of a whole. When a Regulation is "done in Brussels" and enters into force, it applies immediately to all 28 Member States, having direct effect without any intervention from national legislatures. The law that applies in one Member State simultaneously applies in all others. It is system-wide law aimed with the aim of integrating the Member States into a single administrative body. That was never the case in Commonwealth and Empire. Law was made for each of the territories. Thus, law made for Australia would not apply to India, nor to South Africa - there was no Empire law, as such, a single body of law made in London which would apply to the UK and then equally and simultaneously to the rest of Empire. Thus, when it comes to the Great Repeal Bill, the Government is gong to have great difficulty in separating out the functional aspects of the law and those dealing with the establishment of the EU systems, which are worked into the law. It will need to keep the one and remove the other. And that's not as easy as it looks. We've seen this with fishing, where the core regulation does not just regulate fishermen but also sets up the Common Fisheries Policy, empowering the European Commission to perform certain functions, and imposing the duty of co-operation on (multiple) Member States. Had the fisheries policy been written on the lines of Indian colonial legislation, it would have been framed by a "governor" based in London but appointed by Brussels, yet would have applied solely to UK waters. That we could have adopted, pro-temp, until we had something better. But Regulation 1380/2013, as it stands, is unusable without very substantial amendment. More recently, we've seen exactly the same type of problem with the Lift Directive. This is also dual-purpose regulation Not only does it legislate for lift safety, it is one of the "New Legislative Framework" package which sets up a Brussels-based system of control over a wide range of products. As such, once again, it empowers the Commission and places cooperative duties on Member States. We've been though many other examples, from chemical regulation to Air Traffic Management, and there are many more to come. But even now, it is evident that Government has vastly under-estimated the complexities of repatriation, and is not at all geared up to dealing with the problem. The original proposal to adopt the Efta/EEA option as an interim solution to a staged process was intended to avoid problems such as these, but we have seen Davis, May and the others, blunder into a "plane crash Brexit", eyes wide shut. They've committed themselves to something that is virtually impossible to achieve in the time, and don't even understand the scale of the mess they've landed themselves in.